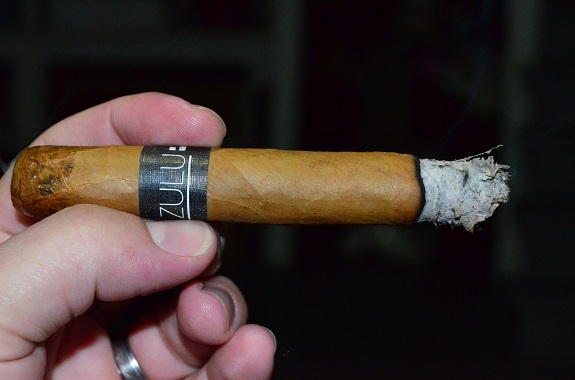 The Zulu Zulu Mas Paz by Gran Habano was released in 2015 and is the second edition in the Zulu Zulu project. The cigar packaging features artwork from Mas Paz, a Columbian born street artist. A portion of the cigar sales benefit La Casa de la Madre y el Niño, the orphanage Mas Paz was adopted from. 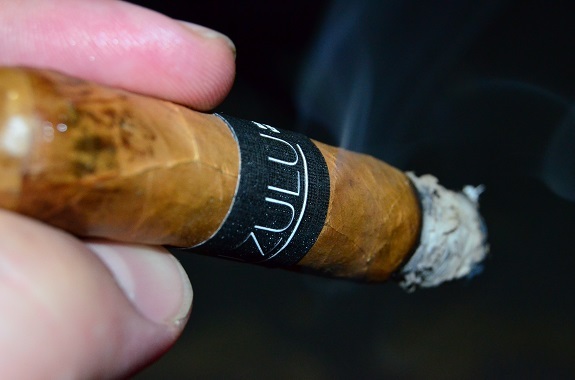 Produced in Miami, the Zulu Zulu Mas Paz comes in two wrapper options: Ecuadorian Connecticut known as the Black Edition and Nicaraguan Habano known as the White Edition. You can find my review of the Mas Paz White HERE. Available vitolas include Corona Gorda (5 5/8 by 46), Rolo (6 by 54), and Lancero (7 1/4 by 40). 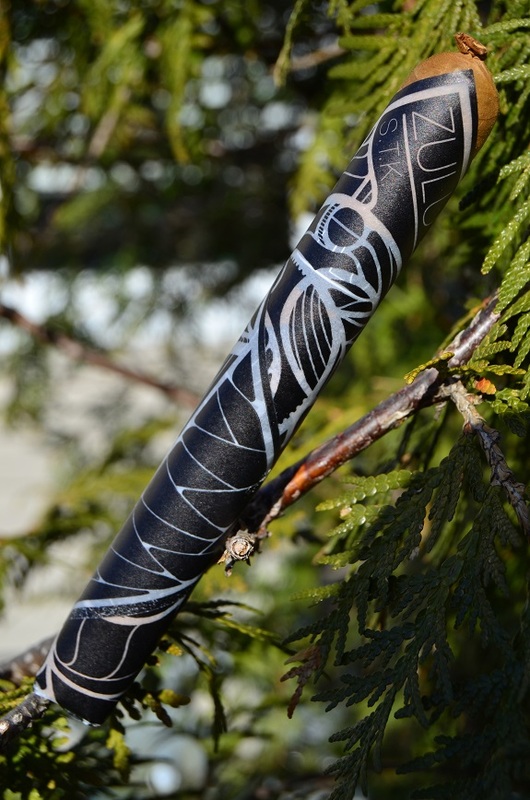 The Connecticut shade wrapper on the Zulu Zulu Mas Paz Black varies from golden tan to yellowish green. Small veins web down the leaf and only one or two medium-sized veins are found. Even though there are some scattered bumps, the wrapper is very smooth to the touch and has a paper-like feel. 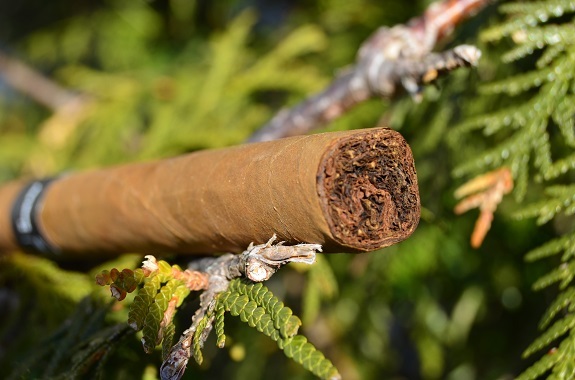 The wrapper aroma consists of light wood and a brown sugar sweetness. The foot is more earthy with some chili powder and more of the brown sugar. The pig-tailed cap cuts with ease, and a perfect draw opens up. A dry cinnamon and cedar show up on the cold draw. The Mas Paz black opens with fuller flavors than expected. 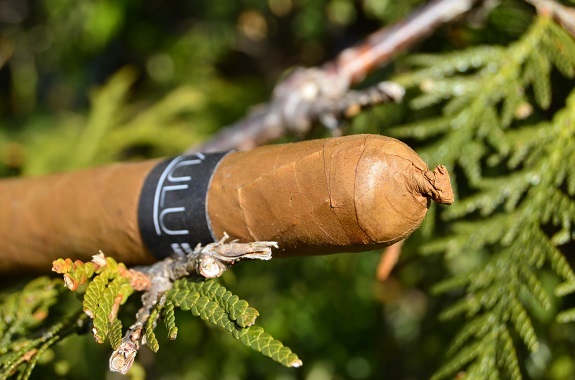 There is a sharp pine flavor and black pepper as copious amounts of smoke easily moves through the cigar. A black coffee flavor, with a slight bitterness, sits on the finish of the smoke. While the burn is even, a crazy flaky ash is forming. Making my way into the second third, the flavors have settled but remain rather consistent with the prior third. The black coffee has moved into the profile and is right alongside the pine and pepper. The ash is no longer flaky and the burn is nearly perfect. The black coffee has developed to more of a charred wood flavor in the final third. Only a hint of the pine is still pulling through. Even though the black pepper is full in flavor, the retrohale is not at all overwhelming. The spice heat continues to pick up in the mouth through the last third of the Zulu Zulu Mas Paz Black. Having reviewed the Maz Paz White last month and thoroughly enjoyed it, I went into the Black edition with pretty high expectations. Out of the gate, the Mas Paz Black opened with big flavors that were unique and intriguing. However, once the cigar settled in shortly after, there was not a whole lot of evolution in the profile and the bitter black coffee left me wanting some sweetness to join in. 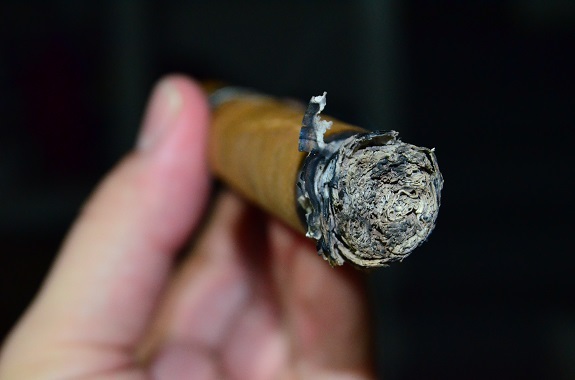 Other than the flaky ash to begin the cigar, the Black performed flawlessly thereafter. All in all, this is in no way a bad cigar. It just didn’t do for me. And I know I will be reaching for the Zulu Zulu Mas Paz White when the opportunity presents itself.